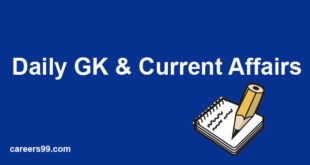 Here today in this post we discussed Daily GK Current Affairs of 9th August 2018. It includes all Major National, International, Business, and Sports related current affairs of 9th August 2018. 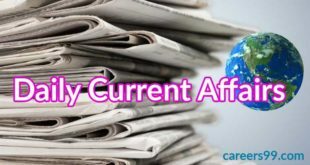 A brief explanation of every current affair is provided to further enhance your general knowledge. Once you have gone through these current affairs you to try bits correctly. In the November 2018 approval of expansion for the period of the commission to examine the issue of subclassification of OBCs in the central list. Harivansh Narayan Singh elected as a Deputy Chairperson of Rajya Sabha against the B K Hari Prasad (Joint opposition candidate). In this year July 1st, 2018 the last Deputy Chairperson of Rajya Sabha was Prof P J Kurien. The objective of MOU is to promote the medicinal and aromatic plants (MAP) forests produced for the livelihood development of tribals by promoting primary level value addition to the MAP produced from the forest area at the grassroots. · United India Insurance Company (UIIC) has been appointed the S Gopakumar as its director and general manager with immediate effect. 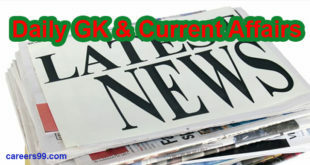 · Earlier, Gopakumar was serving GIC Housing Finance Ltd as its Managing Director (MD)and Chief Executive Officer (CEO). Suresh Prabhu launched the Mobile App “Export Friend” in New Delhi. This app is developed by the FIOO and it is available for both Android and IOS Platforms. This app provides complete information need for the international trade with import & export GST rates, tariff, market access and etc. The International Day of the World’s Indigenous People is observed on 9th August each year to promote and protect the rights of the world’s indigenous population. This year’s the day is devoted to the right to education. The transfer will give the government more support to the government for imposing capital among its banks. In October 2017, the government had said that it will invest 2.11 trillion rupees through a mixture of refinancing bonds (Rs 1.35 trillion) in public sector banks, budget allocation (Rs 18,000 crore) and market borrowing (Rs 58,000 crore) directly from the infusion of the infusion. The nation is celebrating the 76th anniversary of the Quit India Movement. The Quit India Movement was an important milestone in the Indian freedom struggle.